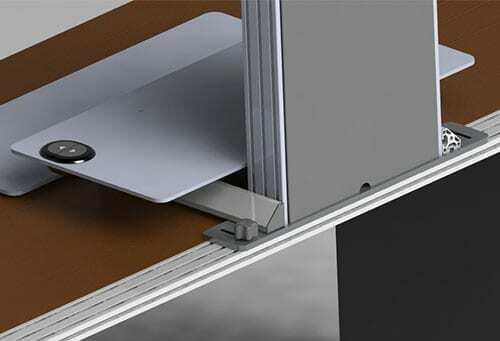 Suspend a flat panel monitor over the desk with the 9232-DC monitor mount. 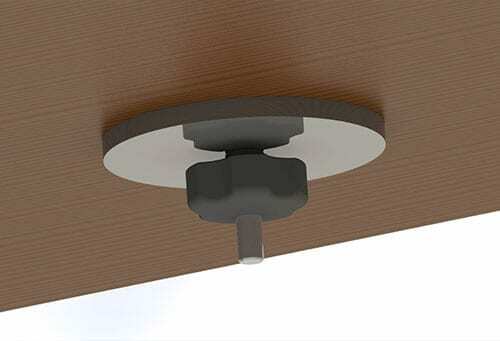 This pole mount is a light duty monitor mount ideal for office spaces, digital displays, POS, and retail environments. Desk clamp included. 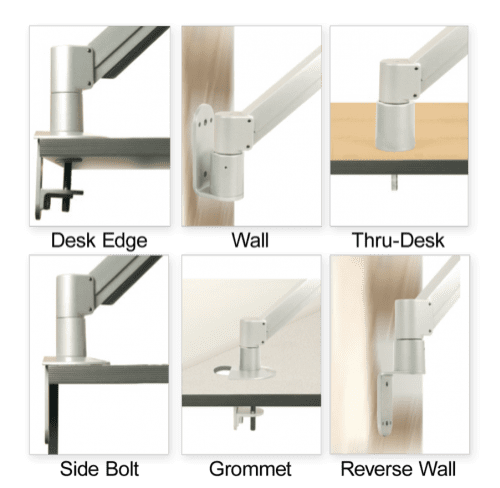 The 9232-DC monitor pole mount is an ideal light-duty monitor mounting solution for office spaces, POS and digital displays, kiosks, and retail environments looking to support monitors or tablets 10 lbs. and under. You can easily mount the 9232-DC on the desk or counter with a desk clamp; the monitor stand is also available with a thru-desk mount. Monitor mount has an Integrated mount handle for easy set up. Monitor pole mount offers up to 100 degrees of monitor tilt for adjustable visibility. Pole mount includes integrated cable management. 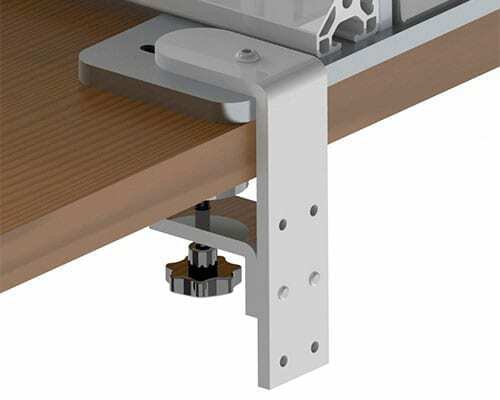 Monitor arm includes desk edge clamp mount (attaches to surfaces up to 2" thick). VESA-monitor compatible - 75mm & 100mm VESA adapter included. 9232-14-DCMount supports monitors up to 10 lbs.